Sabrina was Fantastic!!! She went above and beyond for the ceremony, reception, and cake! -Meagan, Married January 14, Ashlyn Manor. For the quality work she produces, I can truly say that I am blessed to have found her! -Ann, Married December 4, Bell Tower. I cant believe how she took my dreams and made them reality. I had so many questions and didn't know much, but Sabrina helped me and was so patient with me and all my questions. She was responsive and very flexible. -Sandra, Married March 31, Northwest Forest Conference Center. I loved the flowers that Sabrina did for my wedding! She was so easy to work with and she was always offering suggestions when I needed them. -Alyssa, Married March, 17, The Gallery. 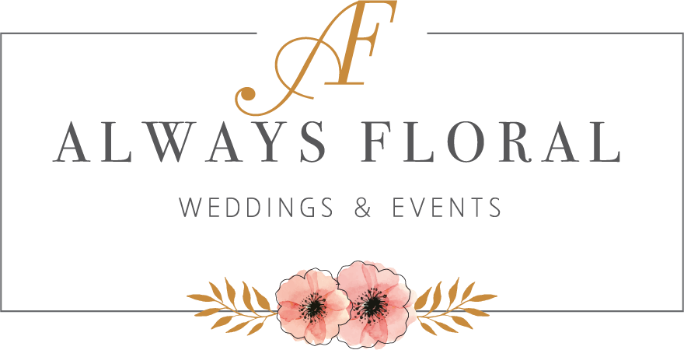 Always Floral took my vision I had in mind for my dream wedding and went above and BEYOND my expectations! -Dana, Married May 5, Ashton Gardens.